Here's an antioxidant superfood drink that will leave your body flooded with essential nutrients and your taste buds feeling minty fresh. Most green powders you'll see on the market are made with cereal grasses (oats, barley, wheat) and that can cause bloating or inflammation in the body. This recipe features our Paleovalley Organic Supergreens that contains no cereal grasses and has only high-quality antioxidant-rich superfoods. 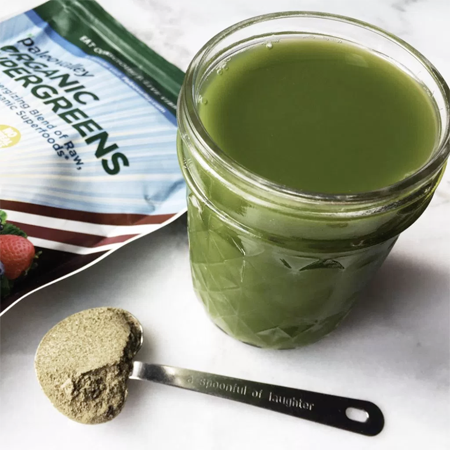 While other greens powders are quite bitter and off-putting in flavor, instead we use a mixed berry with a touch of mint flavor that customers like you are saying is the best tasting greens powder they've EVER tried! See for yourself with this deliciously refreshing Superfood Green Juice recipe below. Blend until all ingredients are combined into a liquefied juice. Option to strain it to remove any pulp. With the amount of essential vitamins and minerals in this recipe, it's no wonder it's such an incredible way to start your day! Flood your body the essential vitamins it needs to leave you feeling refreshed and energized. 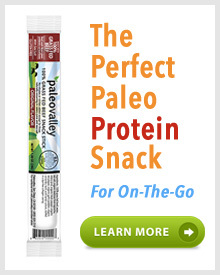 >> Try our Paleovalley Organic Supergreens here and save up to 30% OFF!